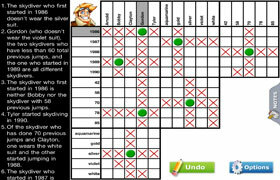 Solve logic puzzles anywhere, anytime, on your mobile tablet device! Available for iPad, Kindle Fire, Nook Color and all major Android tablets. 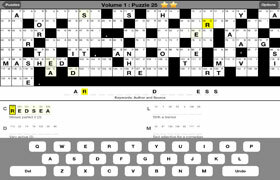 Solve cryptograms anywhere, anytime, on your mobile tablet device! Available for iPad, Kindle Fire, Nook Color and all major Android tablets. Solve acrostics anywhere, anytime, on your mobile tablet device! Available for iPad, Kindle Fire, Nook Color and all major Android tablets. 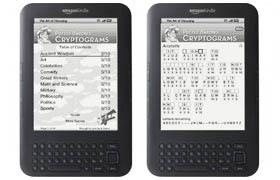 Kindle owners can now solve cryptograms on the go! 100 unique cryptograms you solve interactively via your Kindle. 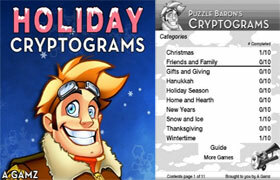 Kindle owners can now solve holiday-themed cryptograms on the go! 100 unique cryptograms you solve interactively via your Kindle.